This year marks the twentieth anniversary of the Richmond Shakespeare Festival, which with faith and creativity brings the tales of the Bard to life at Agecroft Hall. 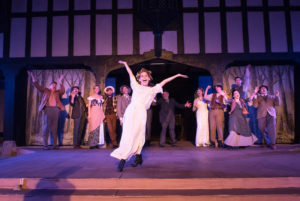 Fittingly, their second production of the summer is a show that was also put on at the premiere festival two decades ago – the plucky comedy As You Like It, which balances the hijinks of fools and mistaken identity with philosophical ponderings on education, fortune, and fate. Rebecca Turner as Rosalind turns in a stellar performances. Agecroft Hall remains an ideal portal into the world of William Shakespeare. As You Like It takes place primarily in the forest of Arden, and performing the play in an outdoor environment means a rather minimal set design can be embraced. The grounds of Agecroft are a comfortable setting for this play, and the addition of accordionist Juan Harmon is a highlight of the production, further immersing the audience into the production. The entire cast of As You Like It does its part to keep the play – which, if I can be so bold as to critique Shakespeare features some confusing narrative pacing – lively and interesting. In particular, the two leads, Orlando (CJ Bergin) and Rosalind (Rebecca Turner) turn in stellar performances, demonstrating chemistry and charming onstage rapport. 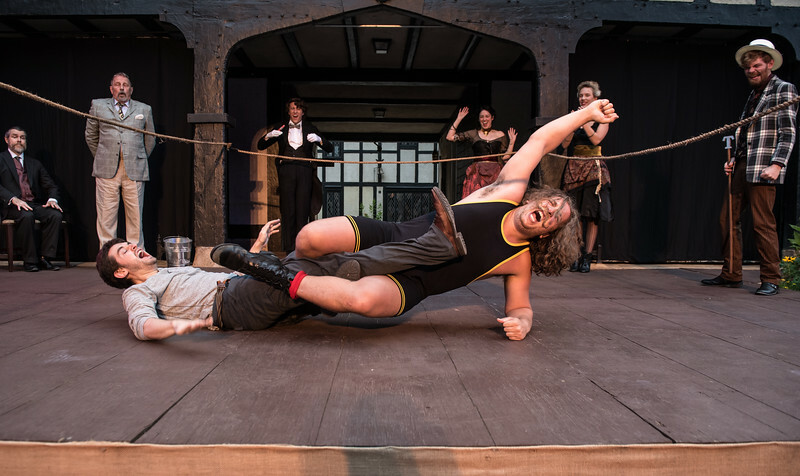 A standout from the cast is Charles (Tommy Ryan), the Duke’s wrestler, who provides some of the biggest laughs in the play, especially in an early scene reminiscent of Shakespearean WWE. Luke Schares as the melancholy Jaques and John Cauthen, in a double performance as both Duke Senior and Frederick, is another highlight from the talented cast. Shakespeare enters the world of WWE – much to the Agecroft audience’s delight. Rosalind – aka Ganymede when she cross-dresses during her forest exile – is one of Shakespeare’s best and most thoughtful heroines, and Turner embraces the role with a delightful fervor that commands the stage when she’s on it. As the determined and witty Rosalind, Turner flexes her comedic muscles and shines with any onstage counterpart. As mentioned, As You Like It on the page can be a bit hard to follow. Some characters appear to have no relevance to the central plot, some scenes exist in order to ponder the philosophy of fools, and some plot points are just plain confusing. Quill’s adaptation leans into the lunacy and comes out the better for it, strolling through the comedy with winks to the audience and inviting self-awareness. What better way to spend a summer evening than to mull over young love and the delights and limitations of the natural world? 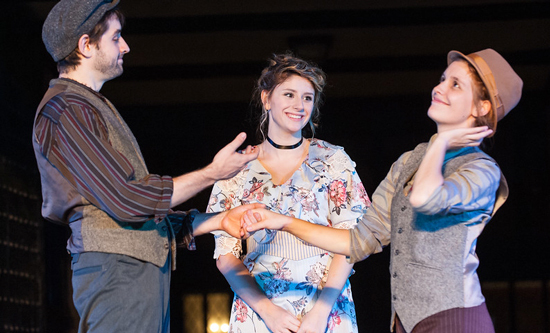 Audience members will find Quill’s production of As You Like It charming, thoughtful, and surprising – even to those who are already familiar with the comedy. The summer tale of love balances flirtation and foolishness with philosophical speculation and metaphor; its cast and director James Ricks aren’t afraid to think deeper about the play’s themes while embracing its lighter tone. Bringing back the dynamic and compelling As You Like It to the stage is an ideal way for Quill and the community to celebrate two decades of Shakespeare in Richmond. As You Like It is recommended for ages twelve and up, although there was a really cute baby at the performance I went to and he seemed to be having a great time. The production run Thursdays through Sundays through July 29. For showtimes, tickets, and the rain policy at Agecroft Hall, go here.